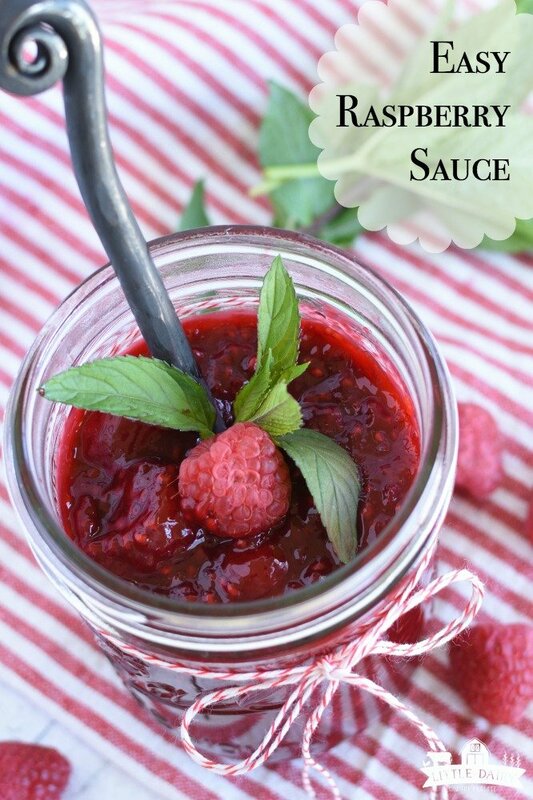 Easy Raspberry Sauce is a little tangy, a little sweet, and is perfect for topping cheesecakes, pancakes, crepes, adding to Greek yogurt, or for filling cupcakes with! It’s easy to make from either fresh, or frozen raspberries! This stuff tastes like summer in a jar! Seriously, can you think of a food that wouldn’t be made even better with a spoonful of Easy Raspberry Sauce? Me either! A while ago I bought a couple 25 pound boxes of frozen raspberries. It’s so much less expensive than buying them fresh, especially in the winter and spring. Of course I made Raspberry Peach Freezer Jam, Greek Yogurt Cheesecake Salad, and a million other things with them. 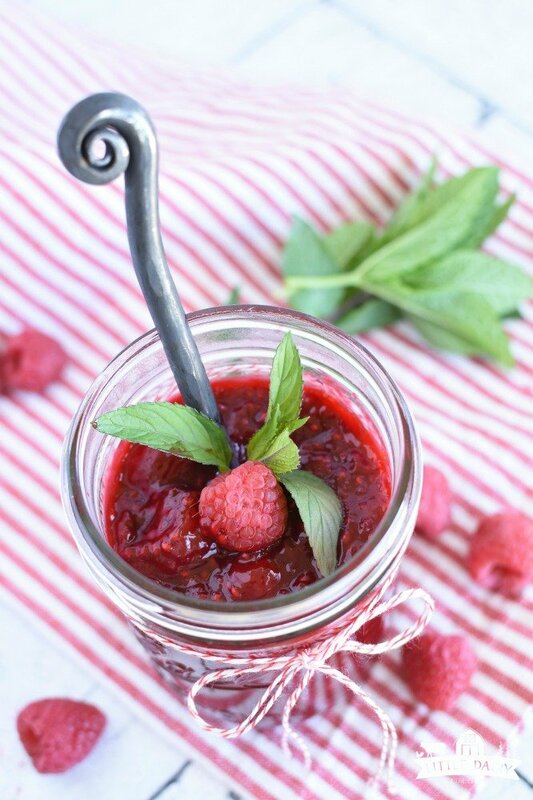 Easy Raspberry Sauce is one of my very favorite recipes to make with my stash of frozen raspberries! 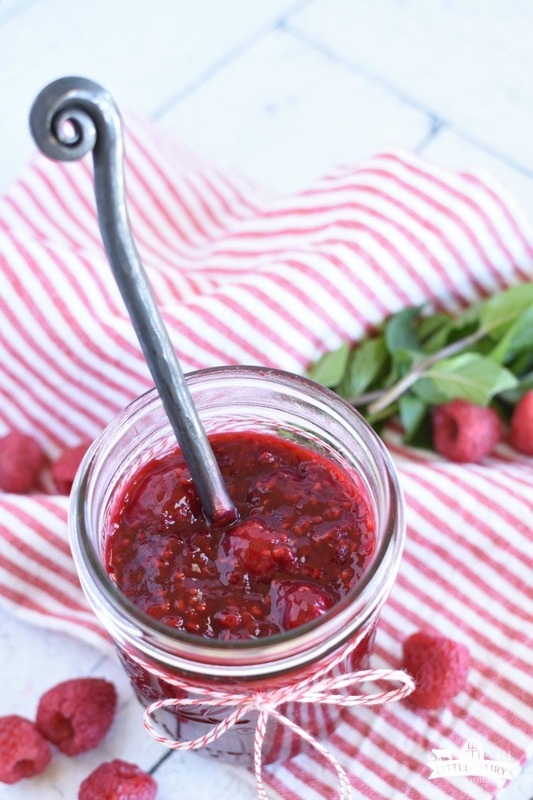 It can be made ahead of time and having a batch of this super simple raspberry sauce in the fridge at all times gives me a headstart on so many fun recipes! 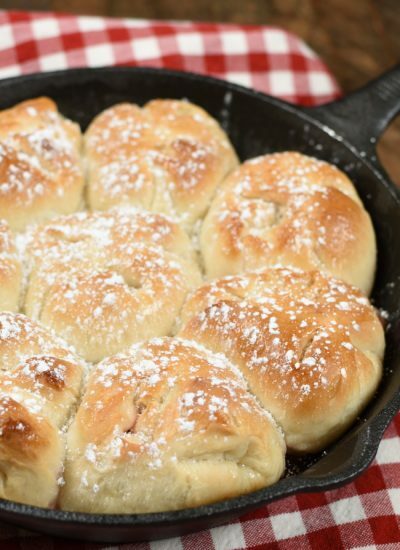 What can I make with Easy Raspberry Sauce? I’m going to start sharing lots of recipes with you and as I do I’ll come back and link them to this post. Really, let your imagination run wild! This stuff tastes like summer in a jar and is divine added to pretty much anything! Here are some ideas to get you started! Dunk Parmesan Crusted Grilled Cheese in it! Trust me it’s amazing! Think fruit and cheese board! Can I use fresh or frozen raspberries? Yes! Either works just fine in this recipe. Like I said, I like buying frozen raspberries in bulk because they are less expensive and work just fine for this sauce. 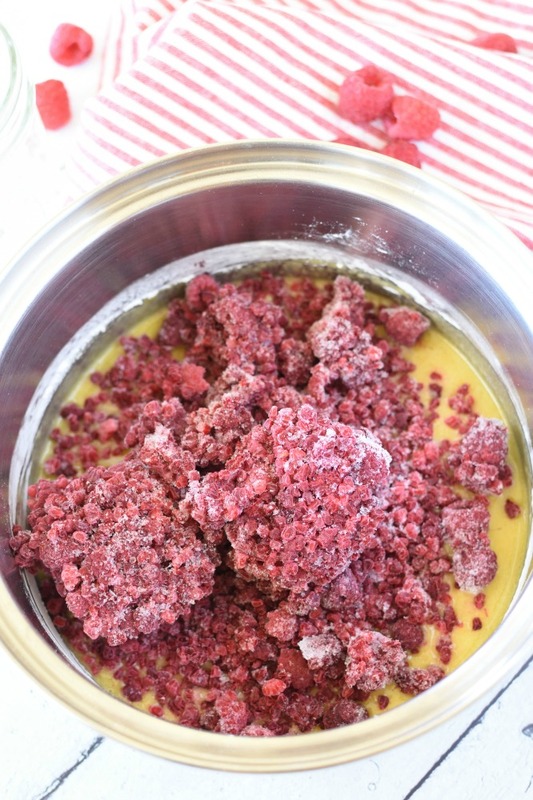 Frozen raspberries tend to breakdown a little more than fresh raspberries. You can always add a few fresh raspberries at the end if you’d like a chunkier sauce. 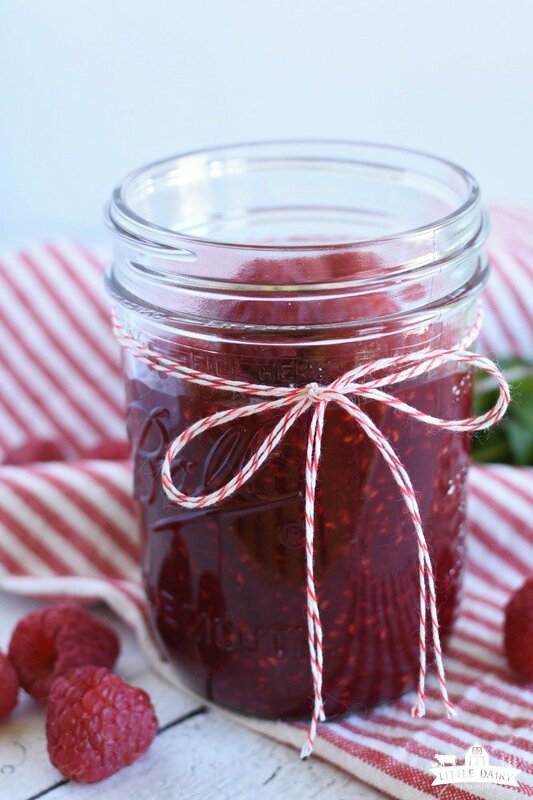 Tips and tricks for making raspberry sauce. This sauce really is easy to make. It’s also simple to adjust it to your own taste! Adjust sugar for a sweeter, or more tart sauce. 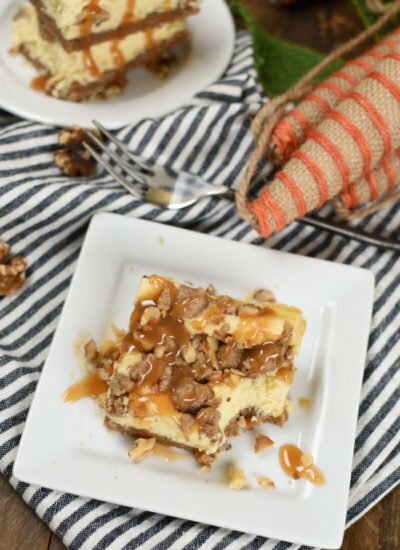 I haven’t tried it but I really think you could easily substitute honey for the sugar in this recipe. I’m trying it next time for sure! If you don’t have fresh squeezed lemon juice bottled lemon juice will work just fine. I always have a can of orange juice concentrate in my freezer and it adds the BEST flavor to this sauce! 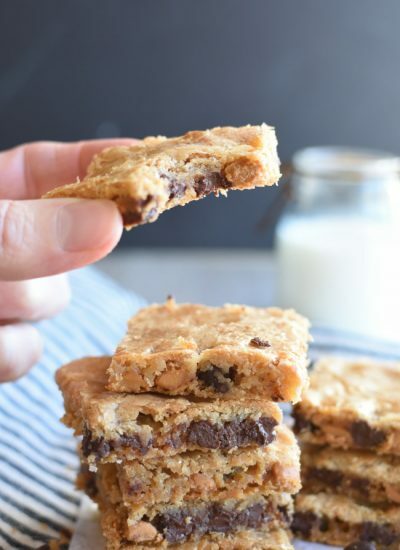 You can add a teaspoon of almond extract if you’d like. 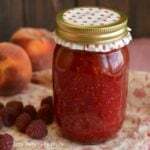 How to store raspberry sauce? I like to store it in an airtight container in the refrigerator. I’ve stored it for up to a week before. Although I haven’t ever tried freezing this sauce I think it would work really well. It would be so handy to pull out on super busy days! This is the time of the year when date night is pretty much non existent! Justin has been “bagging” feed every single night for the last month, at least that’s what it seems like! It really hasn’t been every single day because we don’t bag on Sunday! I guess it’s only been six nights a week! He’s stuck in that piece of equipment until about midnight. I finally decided if I wanted to see him, I was going to have to go where he is because I know he’s not going to be able to come home until late. And when he finally gets home he’s pooped and ready for dinner (yes we eat dinner at 1:00 in the morning sometimes, a shower, and bed). Date night did happen! It happened in the bagger! Let’s not talk about the fact that he was on his phone most of the time! We were still able to get a little chatting in and ate Cheesy Beef Mexican Casserole together! Delish! Don’t pay attention to the fact that I’m not wearing a stitch of makeup and haven’t really done my hair! Farm hair don’t care! What exactly does “bagging” mean? It’s part of a process when we harvest our feed and store it so we can feed it to our cows during the winter. 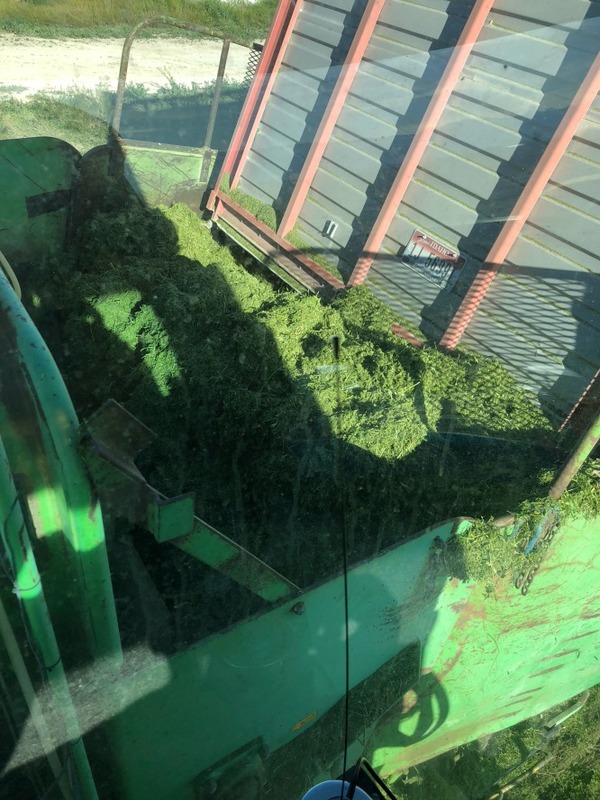 The feed is cut down with a machine that puts it into rows. Another machine combines two rows into one. Then a chopper picks the feed up and chops it into little pieces, and augers it into trucks. It’s hauled to a storage location where it’s dumped into a bagger. The bagger is a big machine that stuffs it in a huge plastic bag. It packs the feed in really super tight, almost like a vacuum sealer. As the feed sits it ferments and gets cured so it can be fed to the cows as part of their balanced diet ration. So there you have it! That’s how my date night this month went! And if you get a chance to go on a date please enjoy it for me! 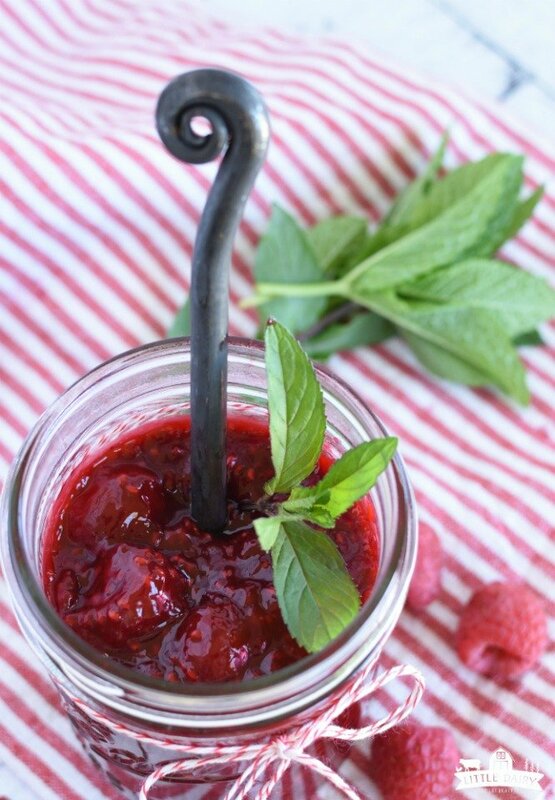 Of course this Easy Raspberry Sauce will remind you of summer, but it’s also just right in the winter and spring! 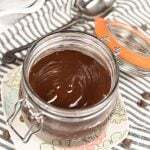 I think you are going to fall in love with how versatile it is, and how simple it is to make! Oh, and that little orange flavor in there, it’s a winner too! In a saucepan stir together sugar, cornstarch, orange juice concentrate, lemon juice, and salt. Add raspberries. Bring to gentle boil over medium heat while gently stirring. Boil for 1 minute. Cool. 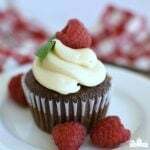 Serve on desserts, muffins, pancakes, etc. Store leftovers in an airtight container in the fridge for up to a week. This is perfect for so many things… summer, gift giving, any occasion. The list goes on. I love that idea! It would make such a fun gift! I love raspberries!! I have to make this so I can put it on EVERYTHING! 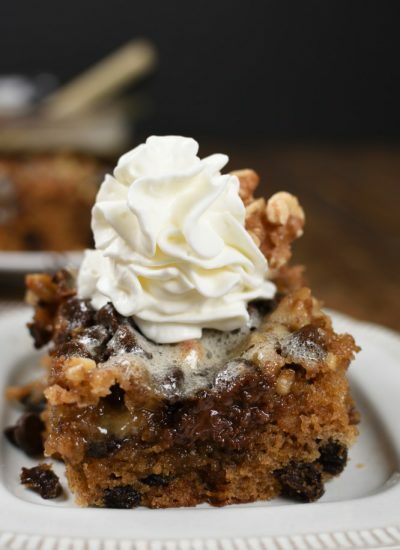 It’s amazing on pretty much everything, and even pretty darn good just eating it with a spoon! I need to put this suce on waffles! Waffles with ice cream! That sounds like a perfect summer dinner! I love that you added that hint of orange! I bet that adds a perfect about of pop! Can’t wait to whip up a batch. Thanks! 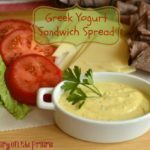 The orange really does add an bright flavor that makes the sauce taste amazing! Looks so fresh & delicious! Thanks! We love it on so many different things! I have to put this on my menu! You can use it in so many fun ways! Just perfect! I was thinking about a good raspberry sauce recipe! The orange flavor in this one makes it extra tasty! I think you’ll love it! Oh this looks so perfect for summer berries! 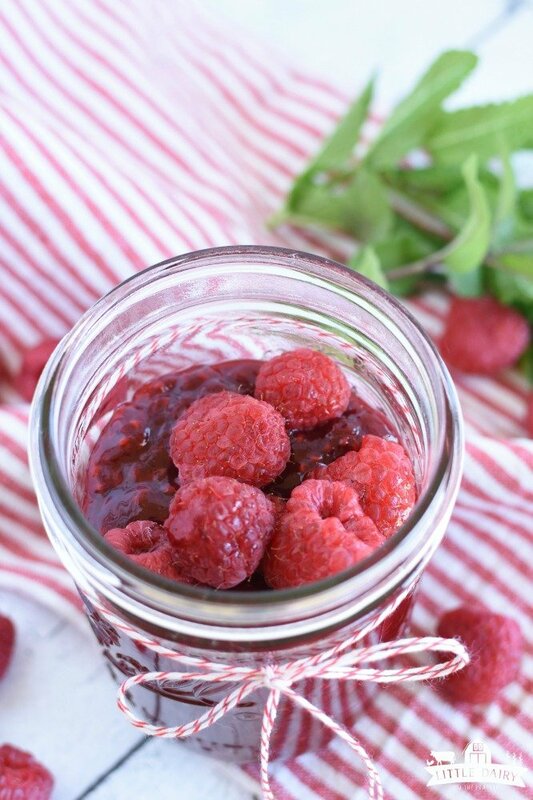 It’s an awesome way to preseve all the yummy summer raspberries! I am so proud that we still have what made this country great and that is the “Family Farm,” as without them this country would be at the mercy of those that have the food we need to survive. 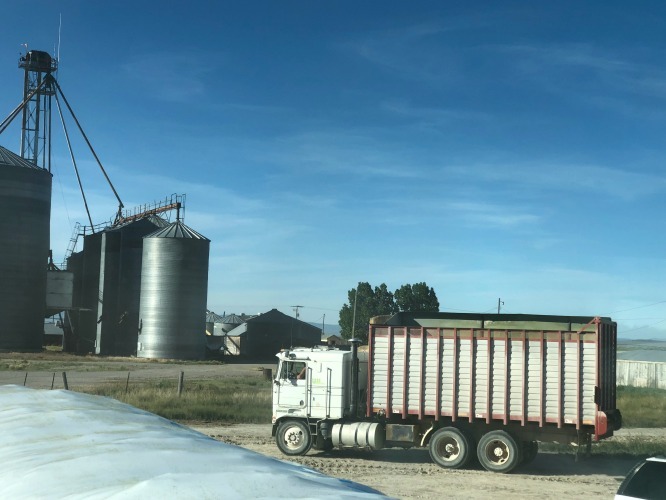 I live around soybeans and this week has been rough when it comes to harvesting, but there’s no better sound than falling asleep with the sound of a John Deere combine roaring past your window, but surely know the farmer Regis is putting in 20 hour days weather permitting. Soybeans have had excellent weather in Northern Ohio this year, so hopefully, Regis has a good harvest. The beating heart of the USA is truly the farmer and have watched and at times envied the life they lead. Buy whole milk and support your states farmers as these corporate farms are all about genetics and who knows, What Else? Thanks for stopping by William! I agree, falling asleep to the lull of the tractor is the best sound in the world! 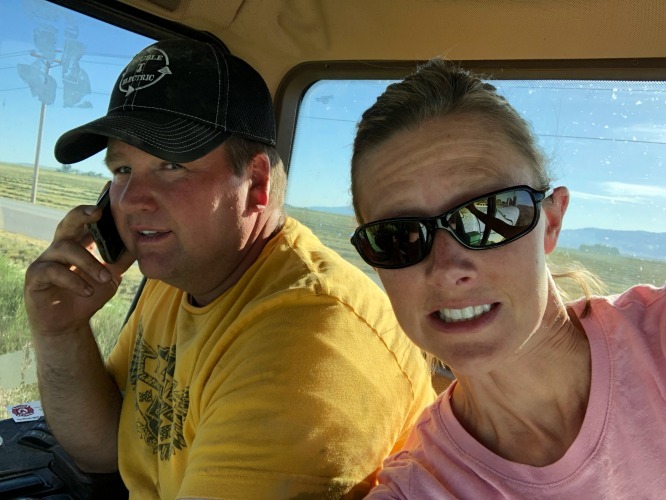 My husband and I knew we wanted to be farmers, even though we knew it would mean little pay, way too many hours, and even heartbrake at times. Somedays we wonder why we are still plugging away at it. At the end of the day we love the opportunity we have to raise our family here on the farm. What better way for kids to grow up? It’s alway nice to hear from Americans who realize the importance of farming and appreciate it! Thanks for the encouraging words! And yes, drink all the whole milk!